One of the primary reasons (at least in the top two, anyway) I got a Second Life account way back in 2008 was to be able to create designs, that while virtual, could still be used, walked through and (let’s be honest) paid for(this is me, after all- I didn’t suddenly become someone else.). I wanted to be able to work out potential design problems in 3d space, create walkthroughs and identify trends. It just took a long time for me to get to the point where I could consistently do that. But this year I seem to have arrived at that place, at least the beginning of it. 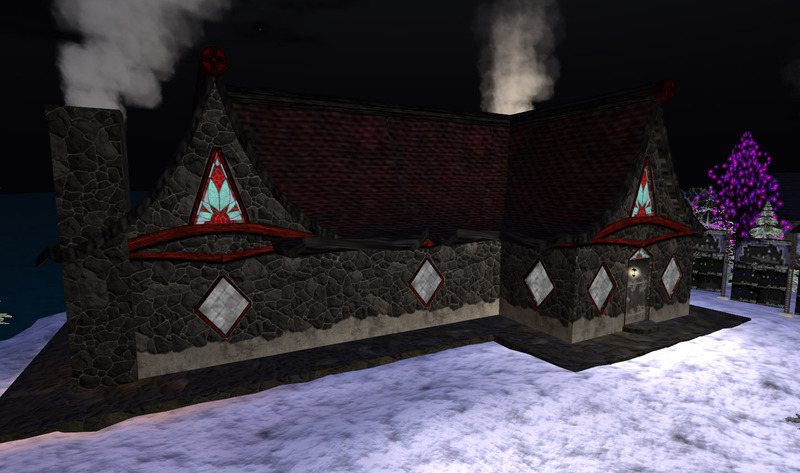 There’s a strong architectural community in SL. A lot of RL/SL networking, social interaction, etc. All of that is a little hard for me. I’m not exactly the most social individual in the world (stop laughing, all of you. I have a gift of understatement. Shh.) I’m not much more comfortable at an SL networking party than I am at one in RL. In SL things can be painfully slow. The modeling tools are clunky, there’s a steep initial learning curve and most people never make a nickel out of the SL economy, so in that sense I’ve beaten the odds- but it took a long time to get there, and most people wouldn’t bother. On many days I wonder why *I* bother, so I don’t fault anyone else for not wanting to. But back to Virtuatecture. See, what virtuatecture ISN’T, is Architecture. I want to make that really, really clear because fundamentally they’re not the same thing. When you remove the laws of physics, problems of sustainability, budget and zoning, but apply other limitations (hello, prim count, primitive manipulation limits and script lag) to how you design/build a thing, that process changes and becomes something else. It’s all still design process- that doesn’t change, but it’s not Architecture. Virtuatecture might have some similarities but it’s not the same thing at all, and I’m always mildly shocked when people who design structures in SL call themselves Architects (assuming they’re not architects in meatspace, of course.) Then again, I’m shocked when people who call themselves designers aren’t designers either, but that’s an old rant. Anyway, back to virtuatecture. What’s also interesting, besides the creation/design process of it all, is watching what people want to *buy*. Witnessing the trends of what people want, what sells and what doesn’t sell is really interesting. I don’t think I have nearly enough raw data yet to draw realistic or sound conclusions, but that will come in time. It’s also interesting (maybe) to note that the house *I* live in in SL, is a warehouse loft with a watertower on top. Even with anything in all the realms of imagination to choose from, I will always go for that. Since the beginning of this year, I and my building partner (I do the designs, he does the builds) have released one house a week. For those unfamiliar with time frames in SL, that’s a *brutal* schedule. Really, truly brutal. 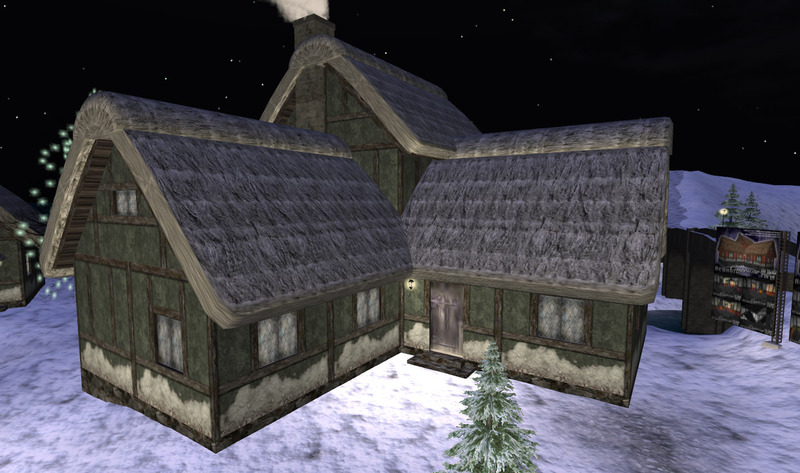 So much so that if we can keep it up for an entire year, we would have more different house designs than almost anyone on the grid, and most people who create houses have been doing it for much longer. This doesn’t include all the design/build work we do for specialized club venues, which happen at a rate of about 3 per month on average. It’s a blistering pace. So far, Ive found the process to be really good for keeping my design muscles flexible- design process is design process no matter the thing in question. So here’s some of the houses done so far. Yes, all the houses have interiors too, don’t be silly. So that’s part of what I’ve been up to lately.